PHILADELPHIA, PA: Institutional investors are gradually expanding their holdings in the commercial real estate sector. Last year, institutional investors’ target allocations to real estate averaged 10.1 percent, edging up from 9.9 percent in 2016, according to National Real Estate Investor. Today’s pension and mutual fund portfolios typically include investments in real estate assets. But there are frequent reports in the business press of commercial real estate deals that have gone sour, causing repercussions for investors worldwide.To mitigate these risks, investors in commercial real estate must acquire a high level of skill and expertise. As institutional investors, fund managers, and ultra-high-net-worth individuals look for a better yield on their investment capital, diversification for their portfolios, or protection against inflation, they continue to turn to commercial real estate. 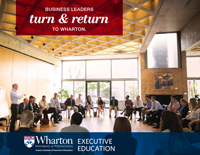 Assessing Commercial Real Estate Investments and Markets, a new program offered by the Aresty Institute of Executive Education at the Wharton School of the University of Pennsylvania, may help investors tread more confidently in this challenging but potentially lucrative sector. 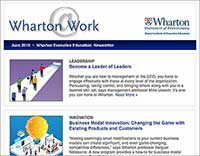 In the program, Sinai and other Wharton real estate experts help professional investors become more discerning evaluators of commercial real estate offers and opportunities. Participants will come away with a better understanding of how to make real estate a more valuable slice of their clients’ or institutions’ diversified investment portfolios. The program will also educate participants on how to understand the different investment risk profiles that may exist for a property type based on location, current occupancy level, ownership/management structure, and existing debt. The program also helps participants refine their grasp of different ways to invest in real estate, as Sinai notes that real estate is not limited to buying a building or a piece of land. Other options include investing in public equities (REITs), lending to real estate developers, or investing in real estate debt. “All those methods have their own pluses and minuses, pros and cons,” Sinai says.